When you plan to visit a tree to tree adventure park, we know you want to make the most out of your adventure. Flying across the adventure park ziplines and scaling challenging obstacle courses can be thrilling, but there’s always the worry of being unprepared and not making the most out of your experience. Lucky for you, Orlando Tree Trek has you covered when it comes to creating the best experience zip lining in Florida. Preparation is key: When you visit our treetop trek, you will find yourself challenged both physically and mentally. Making the most of your adventures in Florida will require you to steel your nerves and prepare for a three-hour rope park adventure. It’s a good idea to show up roughly 30 minutes early so you can sign the waiver and complete our training course before you hit up the rope adventure park. Buy the unlimited water back, be ready for a workout, and escape your comfort zone. Hydration is key to keeping up with the challenging ropes course! 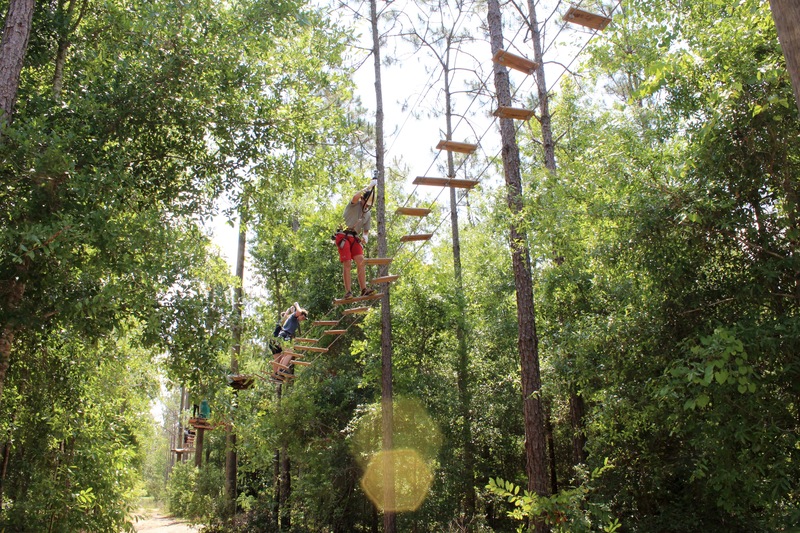 Don’t choose between experiences: When you want to make the most of your tree to tree adventures, you’ll want to climb the challenging obstacle course AND zipline Orlando. Why settle for either or when Tree Trek has both ready and waiting for brave adventurers? We have 97 aerial challenges for you to test your climbing skills and exciting ziplines throughout the courses and after with our giant, 425-foot zipline. Make memories that last: When you’re at Tree Trek, you’re bound to have a blast—and make memories high in the trees that will last a lifetime! So why not make sure those memories stay fresh? Our rope park provides some of the best photo opportunities out there, whether you’re up on the course or following on the trails below. Snap away and fill your scrapbook to truly make the most of the experience! Keep the fun going: We’re positive your visit to Tree Trek will leave you ready to come back before you even take your harness off! Our treetop trek offers plenty of ways to save, helping you get the most from your rope park adventure again and again. Tree Trek has discounts for early visitors, Florida residents, college students, groups and more! And with a workout as fun and challenging as our adventure park, it’s a great idea to snag the annual pass to test limits all year long! Make the most of your rope park adventure by being informed. Coming prepared, getting a good value, and knowing you can come back for more adventures in Florida will assure you your time is well spent. Orlando Tree Trek has the best ways to make your experiences memorable. Book your adventure today and zipline Florida in style!